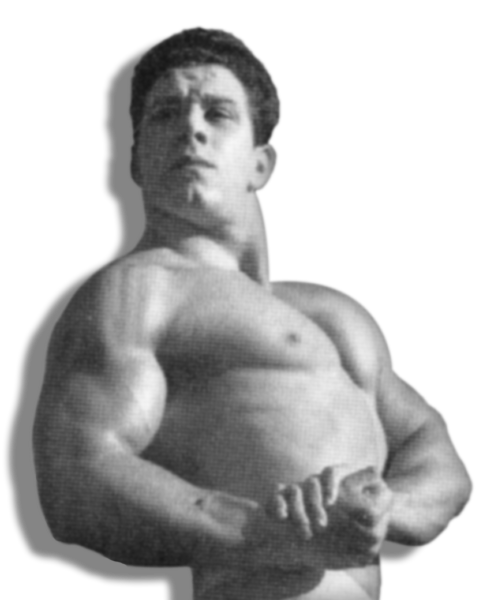 The First Official “Britain’s Strongest Man”! 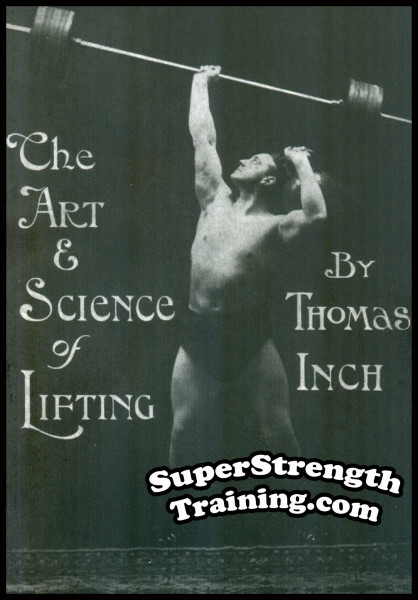 During the early 20th century Thomas Inch became a household name throughout England. He performed to sell-out crowds on a routine basis. He took on any and all challengers from anywhere throughout Europe. Novice would be strong men traveled from afar to seek his advice. His mail order business was the largest of it’s kind in the history of the game. 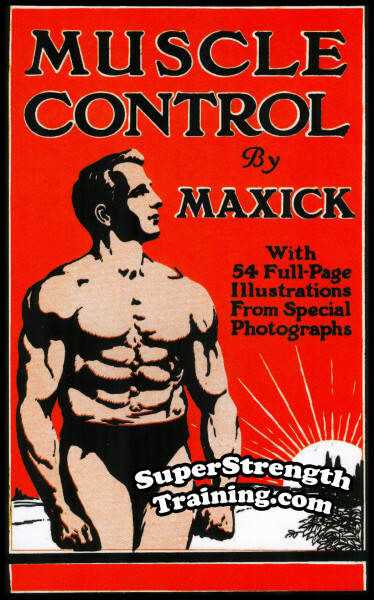 So again, in 1932, he decided upon writing and publishing yet another book on his experiences and those that made their living with the iron. 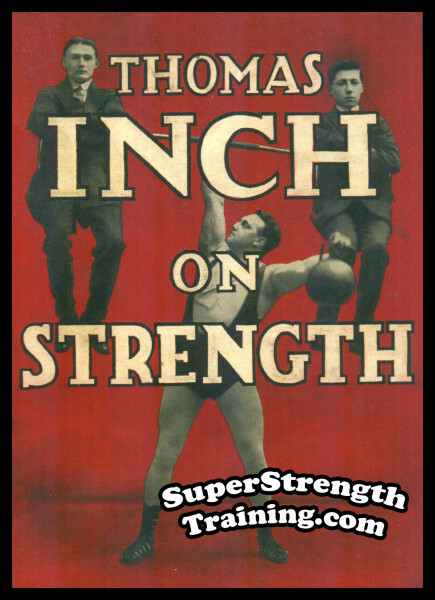 He titled it, “Thomas Inch On Strength”, and, once again, he covers a wide variety of interesting topics. 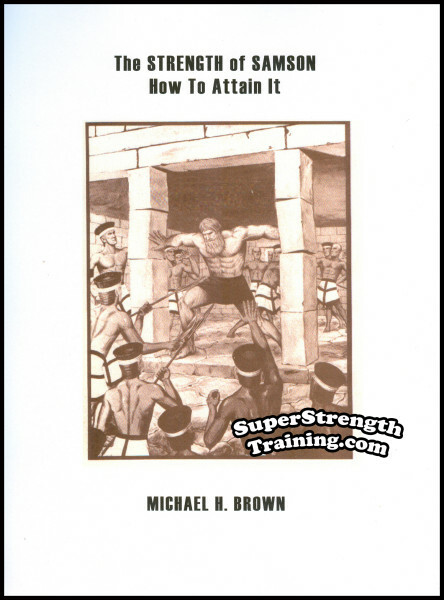 He starts by explaining the role of the ancient strong man versus the modern strong man. 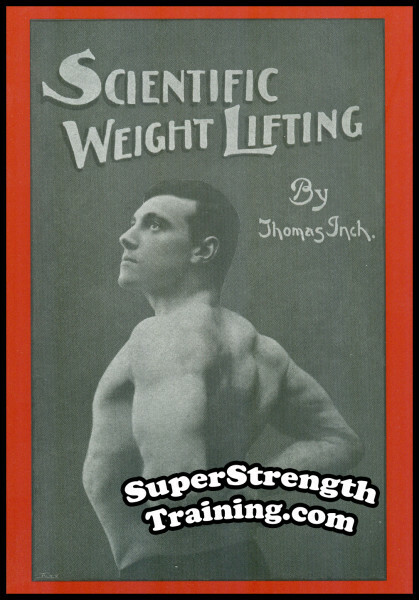 He divulges some of the secret methods used by music hall strong men including those used in card tearing, expander pulling, supporting weight, lifting human weight, juggling weights, chain breaking, bending and snapping iron bars, resisting the pull of 12 men, etc. 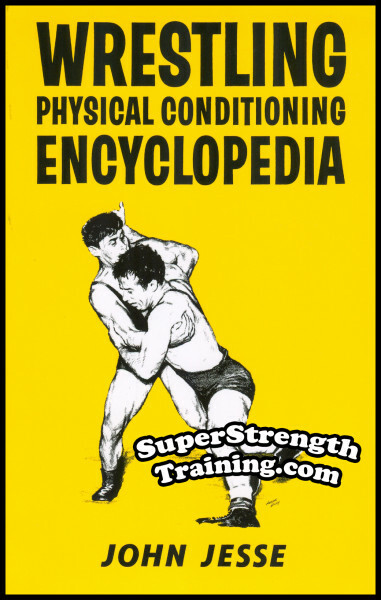 Later, he talks about physical culture pitfalls, mental efficiency, general hygiene, breathing techniques, diet, speed work and chest development, forearm and grip development, the art of full contraction, etc. 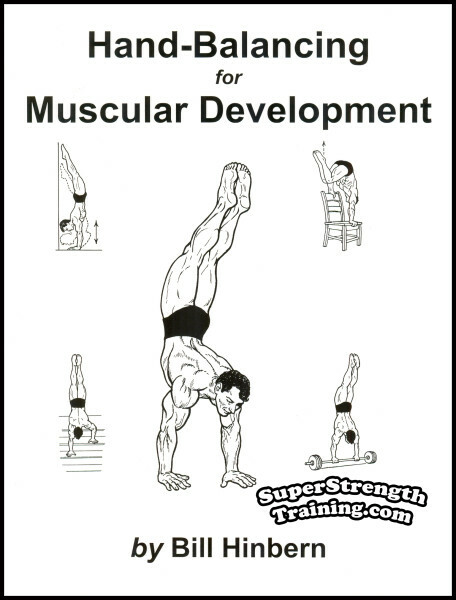 Then he goes on to give examples of training routines such as, the boxer’s training system, self-resistance exercises, miniature weight-lifting, etc. 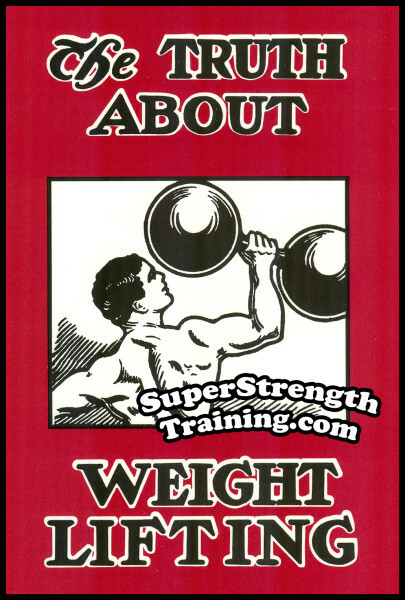 In conclusion, he discusses how strength is developed and training for weightlifting. 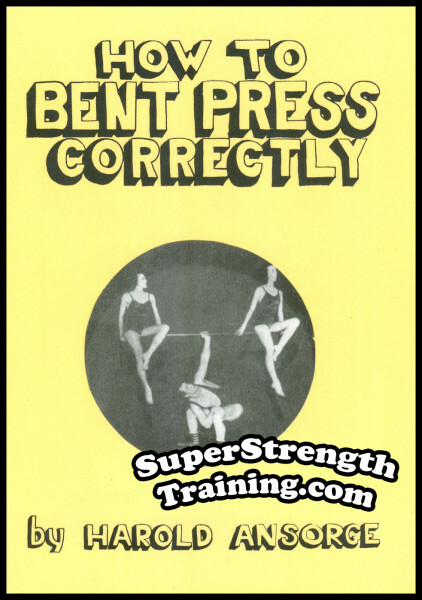 Furthermore, he details the different lifting styles used by contemporary strongmen that you may consider using in your own training. 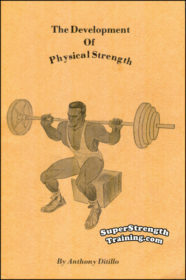 A 5 1/2 x 8 softcover book with 112 pages and chapters including over 56 rare photographs and illustrations! Excellent book by the master! Get your copy today! Ever train and not gain? 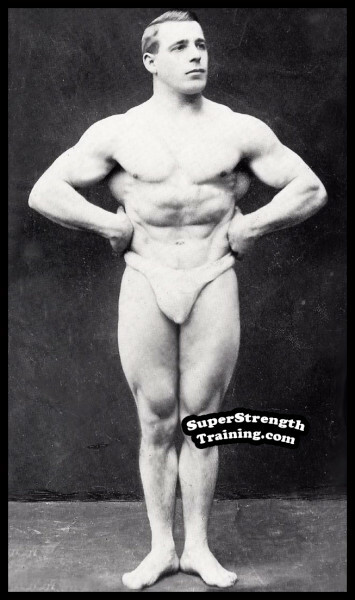 Hit “sticking points” or plateaus? Before you can correct a problem, you must know what it is. 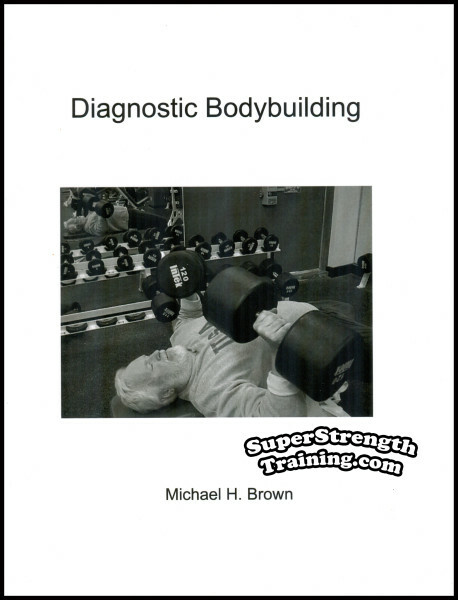 The author spent 43 years researching and 7 years writing this book. 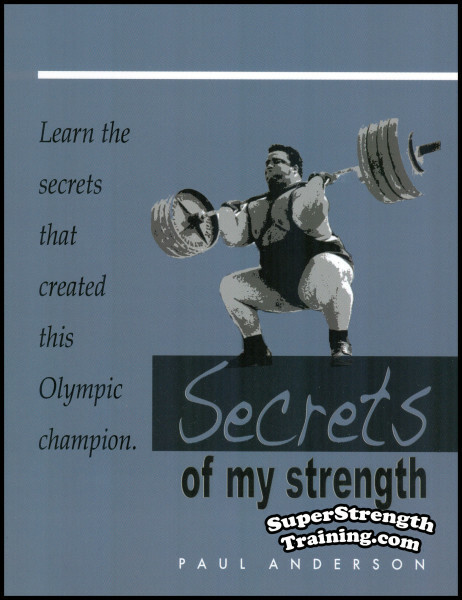 He explains the secrets to overcoming sticking points. Read More! 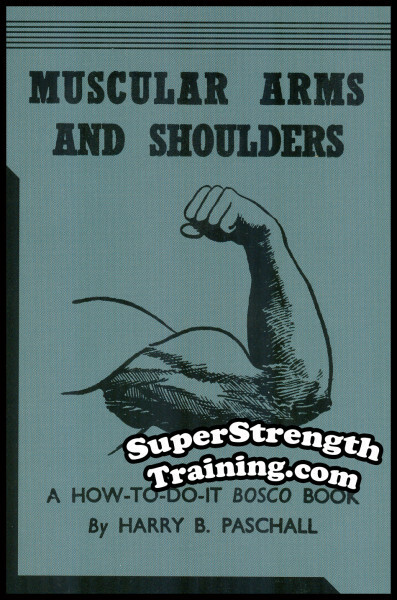 Another Bosco How-To-Do-It Book devoted to developing huge muscular arms and shoulders! 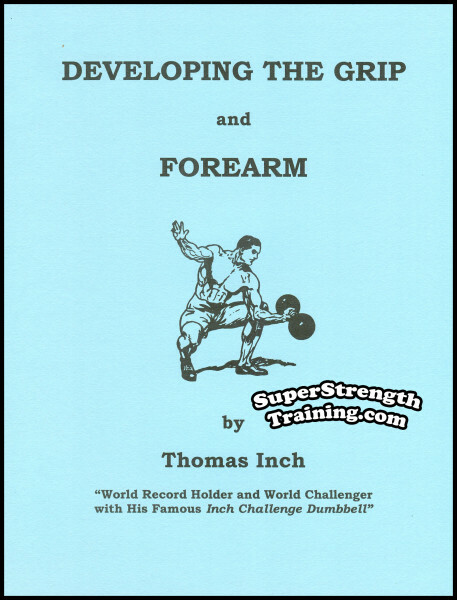 Three Complete Arm and Shoulder Training Programs including practical information to make your arm training more productive! Fully illustrated. Read More!